With more than 200 Sherlock Holmes films made to date, the challenge for a production designer is how to make the latest one stand out. “I wasn’t intimidated by what had gone before because I knew this was a reinterpretation of Sherlock Holmes for the modern day,” says Sarah Greenwood, who had just 12 weeks of pre-production to create the Victorian London of 1892 for Guy Ritchie’s new adaptation for Warner Bros.
“Guy wanted to create a gritty reality, and a very complete world that the characters inhabited, but in an effortless way that doesn’t scream “period’,” she says. “He was very strong on the idea that it had to be set in reality, even though it is Sherlock Holmes. It’s great to see authenticity used in a very modern way and to see the character reinvented,” she adds. Greenwood, who has worked with Joe Wright on six projects to date including Atonement and Pride & Prejudice, admits the Sherlock Holmes experience was a very different one from the “genteel periods” she is used to. “A lot of it was quite down and dirty, in the shipyards and the underbelly of London life, which is always a treat to try and create.” Finding the perfect locations in London, however, proved difficult and the crew had to decamp to Manchester and Liverpool to fill in many of the gaps. When it came to recreating Baker Street, Greenwood looked at various locations in London , but then Warner Bros suggested using the Harry Potter set at Leavesden. “As much as you think you don’t want to use someone else’s set, a Georgian street is a Georgian street and it was great because we were given the freedom to do what we liked with it,” she says. The interior sets, including the inside of 221B Baker Street, were built in New York at The Armory in Brooklyn, where shooting took place for five weeks in January. One of the biggest challenges, says Greenwood, was the film’s final scene, which is set on London’s iconic Tower Bridge. 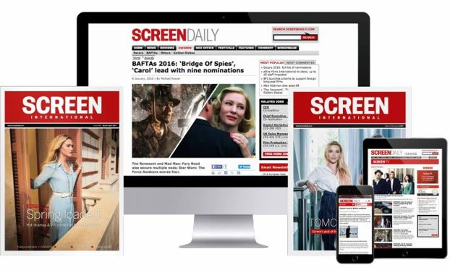 Screen International brings you two of this awards season’s visual effects contenders.